After giving us a taste of spring, Montreal weather decided it was too early for that and cooled down…. 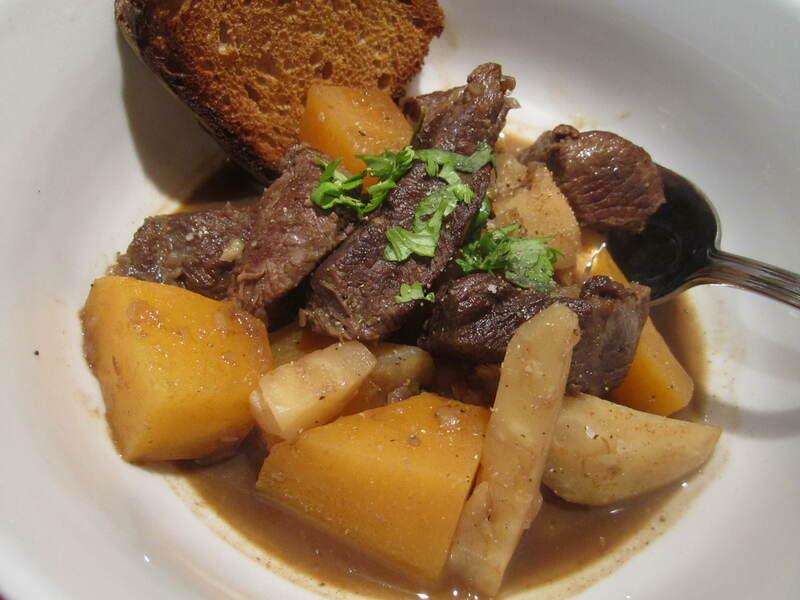 so what better way to get warmed up than a meaty, comforting stew on a chilly night! 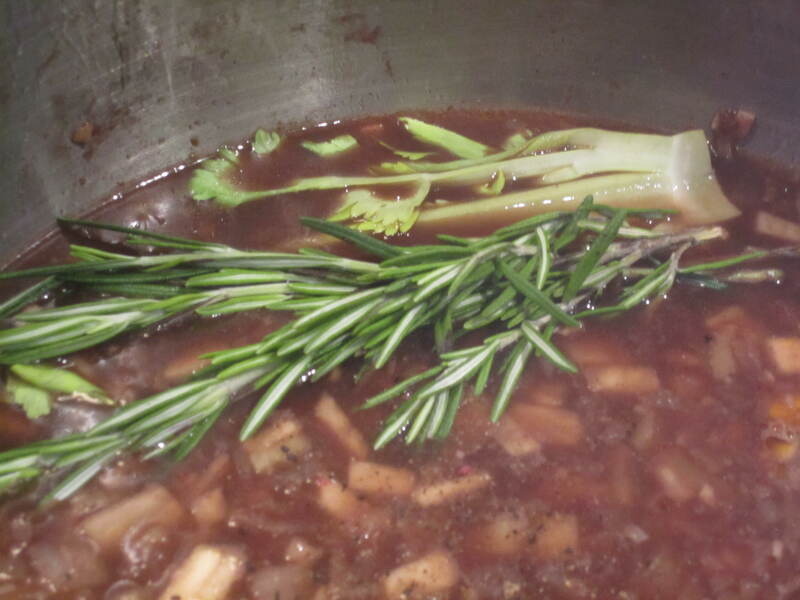 I love making stews because they are so soulful and satisfying. 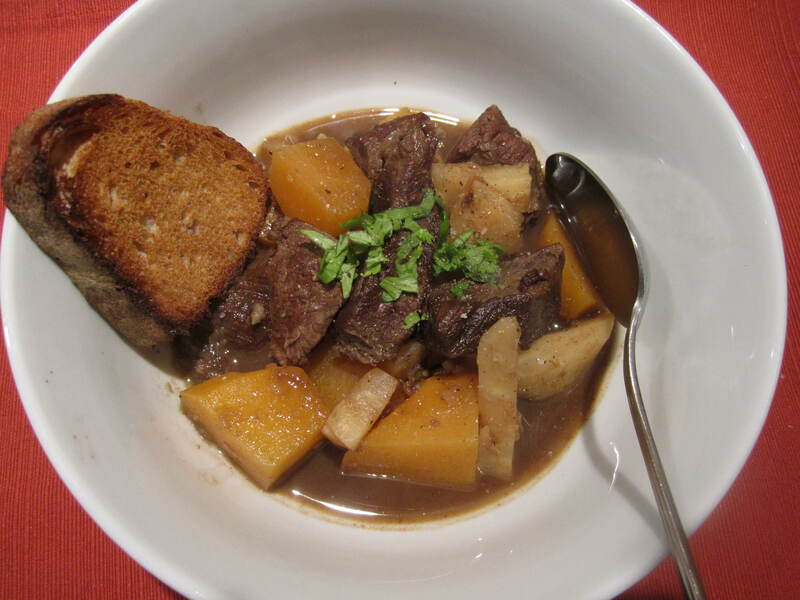 Since I tend to make a lot of beef and lamb stews, I wanted to try something different and a bit leaner, so headed over to market and bought venison. Venison has a rich red, gamey taste that paired wonderfully with anise notes, from the fennel and dill seed, and root vegetables. 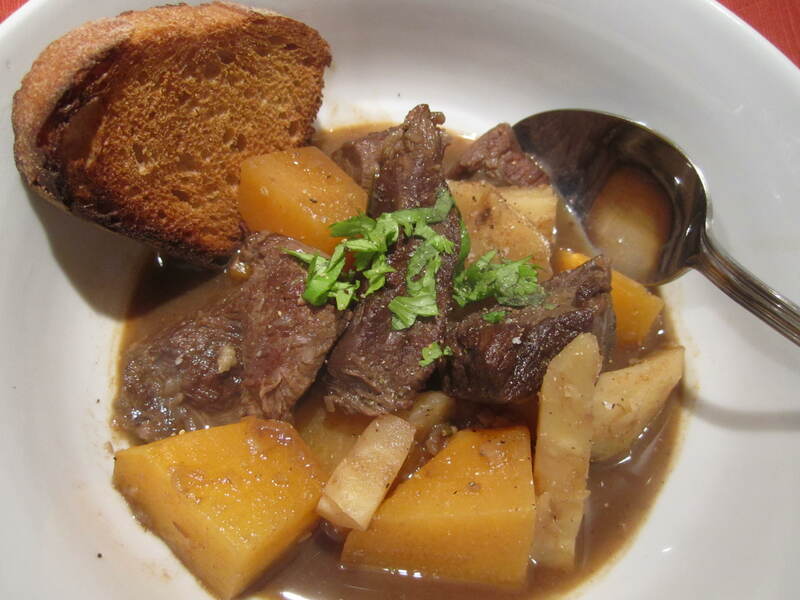 These days I am trying to eat a bit healthier, thus this stew is on the leaner side. You can [and by can I mean should!] use some butter if you’re not concerned about this :) Especially since this meat is much leaner than its beef and lamb counterparts! 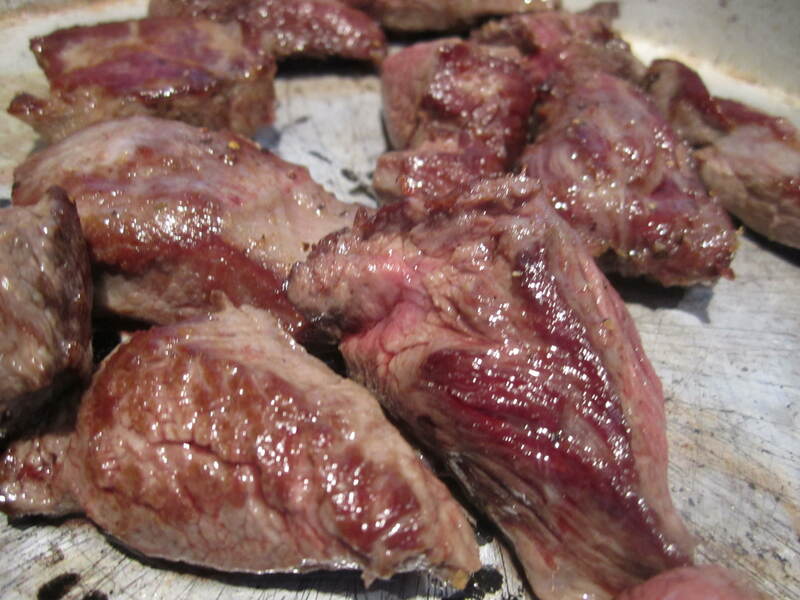 Make sure your meat is dry by patting it down with a paper towel. Season it with salt and pepper [if you are not trying to cut down on calories, toss the meat in flour, to coat all sides]. Heat oil in a large pot over medium-high heat. 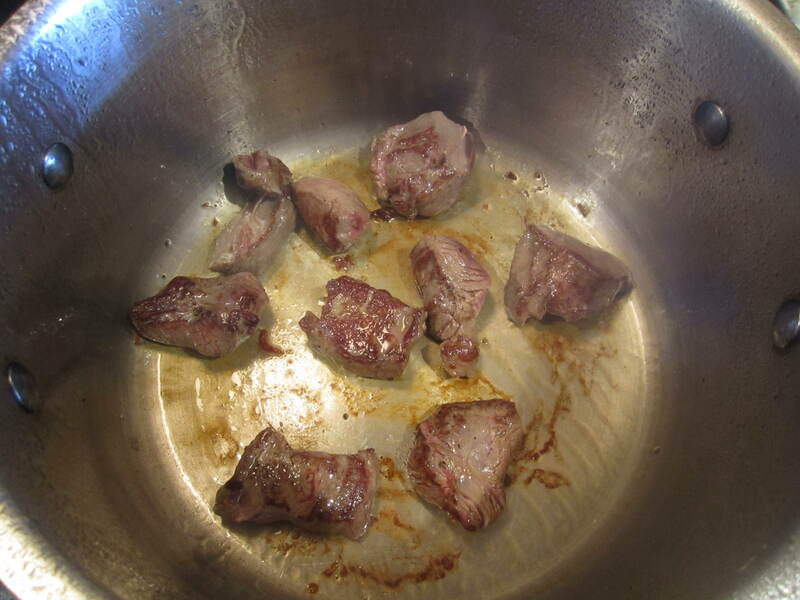 Add venison, and brown all sides, in small batches [this is the KEY to get beautifully browned meat: DO NOT OVERCROWD! Otherwise you will end up lowering the heat of the pot and won’t achieve that gorgeous brown color you are looking for]. Transfer meat into a dish, sprinkle some dill and fennel seeds, and set aside. Reduce heat to medium and add one more tblsp of oil [or butter]. Add onion and saute for about 1 minute. Then add the rest of your mirepoix* [Instead of doing a traditional mirepoix I used onion, celery, and celeriac] and cook for about 4 min. Add the garlic and cook until vegetables are soft. Stir in 1 tsp of tomato paste. Deglaze with wine. 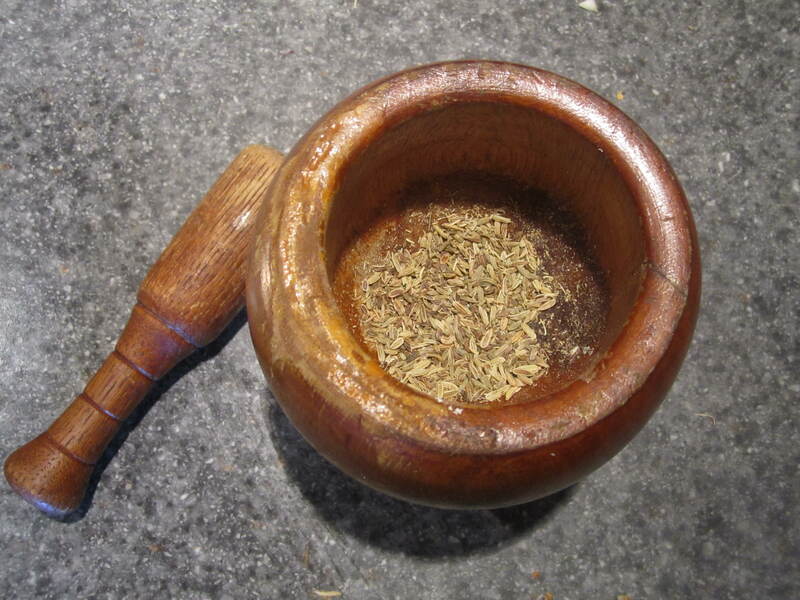 Once the wine has reduced to almost half its volume, add the demi-glace, stock, honey, rosemary, bay leaves, dill seeds, fennel seeds, allspice, and star anise. Season lightly. Once the mixture starts to simmer, reduce heat to medium low and let cook for 5-10 minutes. Add venison to the pot, cover and cook for about 1 hr [do not let the mixture boil, have it partially uncovered if necessary]. After this time has elapsed, add the turnips. 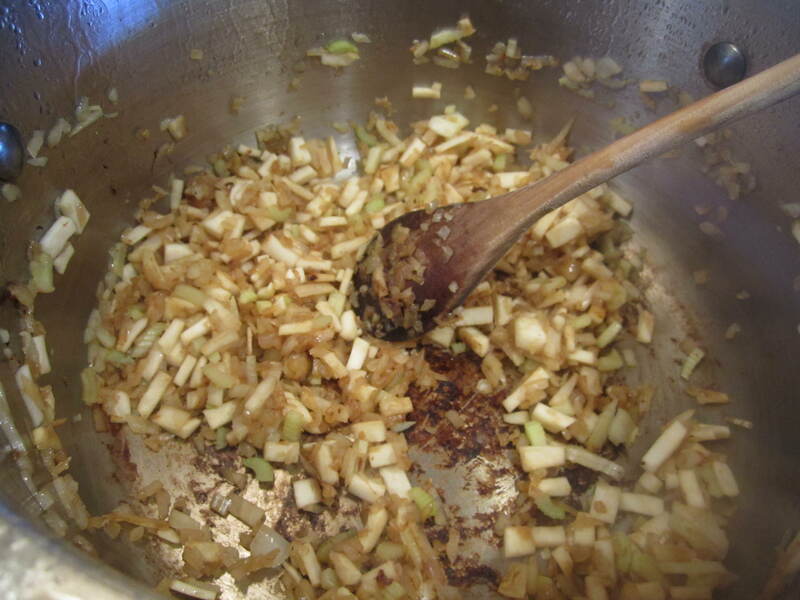 After about 5-8 minutes add the celery root [normally turnips take longer to cook than celeriac]. Cook until vegetables are cooked to through, about 20 min. Taste and rectify the seasoning. Serve and garnish with parsley. *Mirepoix is a combination of finely chopped celery, onions, and carrots commonly used as a flavor base for stews, soups, and sauces.